Remarrying during your senior years makes some people feel giddy and alive. But high-net worth individuals have more to lose if they don’t communicate exactly how they want their assets divided in the future. When you have children from a prior marriage or relationship, it’s prudent to contemplate prenuptial agreements in Florida that protect your children’s assets. According to an article by cnbc.com, a prenuptial agreement is part of proper estate planning. Experts point to the tragic death of comedian Robin Williams. After Williams died, his wife and children from a previous marriage went to court over personal belongings. A good Boca Raton Florida family law attorney arms you with detailed and clearly laid out prenuptial documents that back up your intentions. A prenup, which each party signs before getting married, does not just help in cases of divorce. If you die due to an illness, it’s already upsetting to loved ones left behind. If you pass away from an unexpected accident, the prenup becomes an important guideline for spelling out how your assets should be split up. 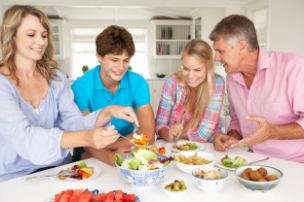 Having a clearly outlined plan often provides much-needed peace of mind to your children as well as other loved ones and friends. Of course, your spouse should not be seeing the prenup for the first time upon your death. Your finance takes an active participation in the procedure so it’s not a surprise during a divorce proceedings. Without a prenuptial agreement in Florida, a spouse would typically receive all of his or her spouse’s retirement accounts upon death. But the prenup agreement also protects other assets that you hope to pass along to children, friends and other individuals such as artwork, family businesses, cash and cars. When meeting with a family law attorney, make sure to bring as many details and information about assets, collections and possessions as possible. Meticulously document your assets such as lists of artwork, names of cars and any investment or vacation properties. When signing a prenup, make sure you are completely transparent with your fiancé by providing all financial records to your prenup agreement attorney. Experts advise against signing a prenup the day of the wedding. If you fail to get a prenup, the next best option is a postnup after the wedding. After getting married, align your spending habits with the prenup by not commingling assets. Use separate accounts. Finally, talk to our children about your inheritance intentions so everyone is on the same page. Even if one person in the union has more assets and money than the other person, it’s still important to obtain an accurate list of everyone’s assets and liabilities at the time of the agreement. Aim to get the prenup into the hands of your finance several months before the marriage if possible. Of course, even if you have few assets now, don’t make the mistake of buying a prenup kit from the Internet. A good family law and prenup agreement attorney follows the Florida Supreme Court case guidelines involving prenups to always protect your best interests. In defending or attacking a prenup agreement, some of the arguments center on duress and unfairness and lack of proper disclosure. 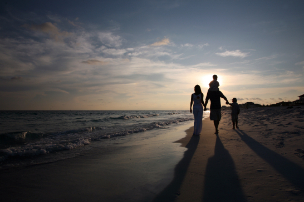 In Florida, your assets once married do not automatically transfer to your children. If you moved to Florida from another state like so many people do, you might not realize some of the legal ramifications of a “gray” marriage. At the Law Offices of Ronald M. Zakarin, we practice in family law including divorce settlements, alimony, high net worth divorce, prenuptial agreements and equitable distribution. We give personal attention and fight hard for your best interests. For more information about the most appropriate prenuptial agreements for gray marriages in Florida, please contact us.